London in a heatwave can be a glorious, sweaty, sticky, surreal place. 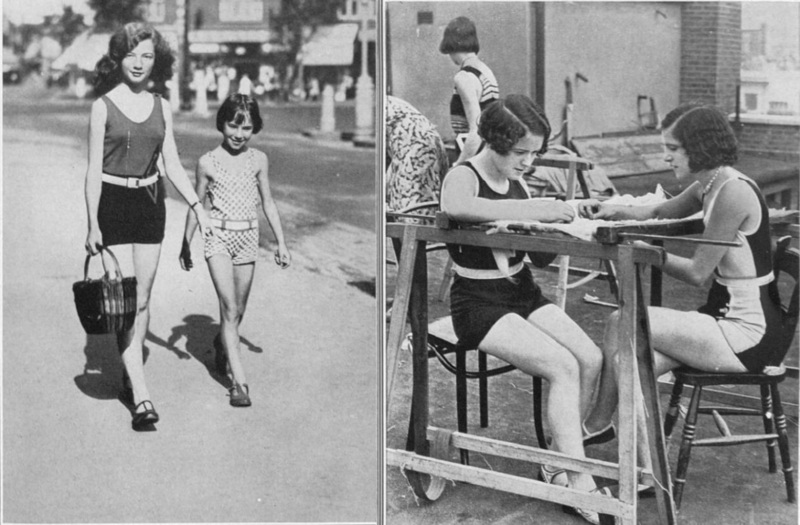 These images from the British Newspaper Archive show how our predecessors kept their cool during a long hot summer. Most of these shots have not been seen for over 80 years. 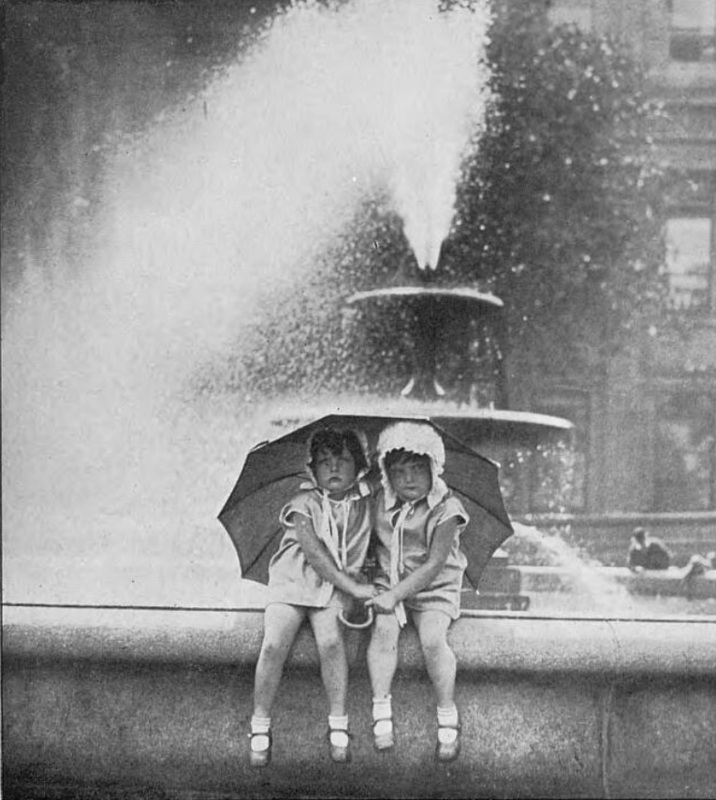 Two little Londoners keep cool from the spray of a Trafalgar Square fountain. The caption laments that 'office workers cannot achieve these things with such charm and grace'. Not exactly the words we'd have used to describe this pair of grumpians. The Sphere, 6 September 1930. (c) Illustrated London News Group. Forget high-vis and hard hats. 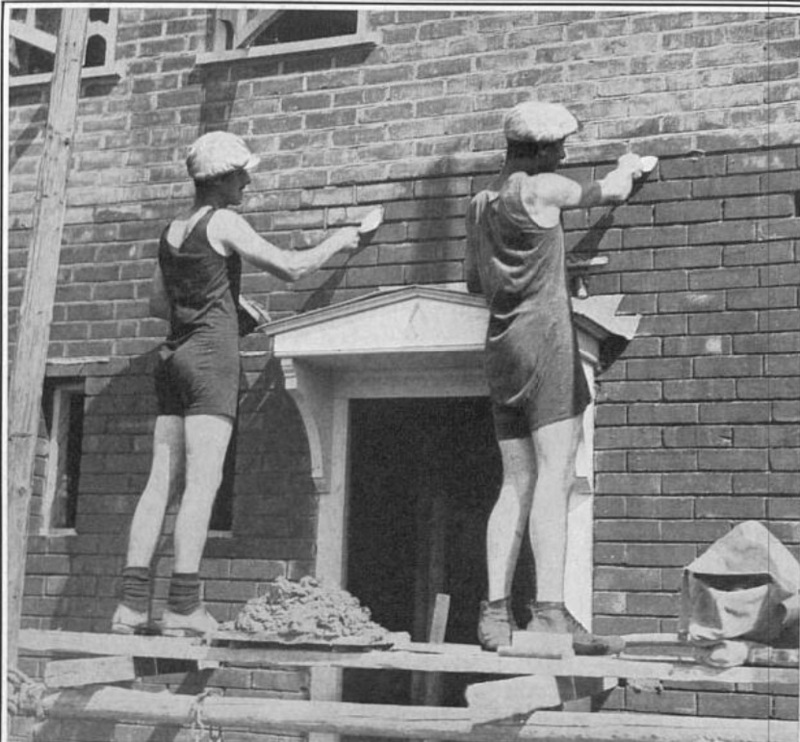 This brace of Morden labourers seem perfectly happy troweling away in their bathing suits, "a costume unconventional but effectual". The newspaper informs us that they were constructing part of the St Helier estate. The Sphere, 5 July 1930. (c) Illustrated London News Group. A trio of messenger boys take turns to dip their heads into one of the fountains. The Sphere, 6 September 1930. (c) Illustrated London News. An unnamed West End costumier's let its embroidery staff sit out on the roof in their bathing costumes, as shown in the image to the right. Meanwhile, a teenager and girl are pictured in London Road, Thornton Heath wearing unexpectedly short clothes for the time. 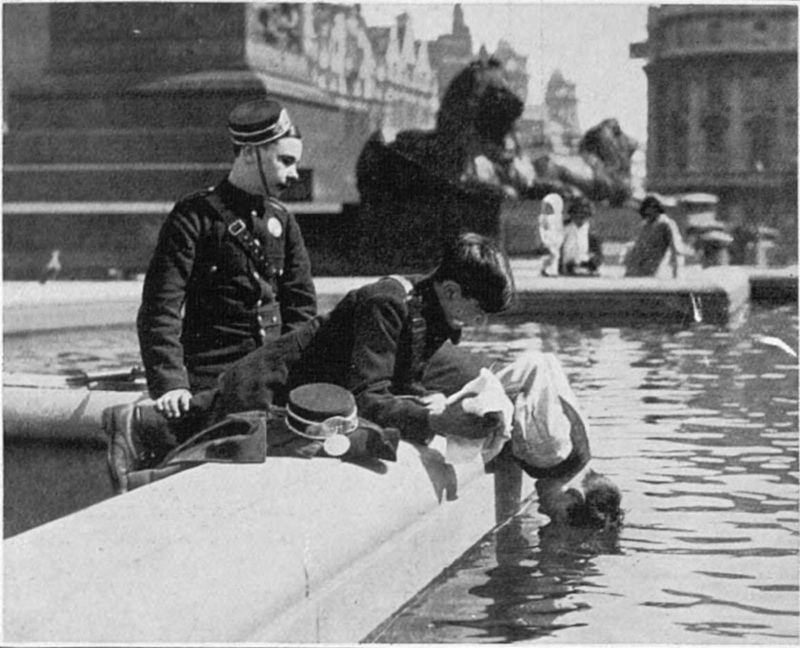 Illustrated London News, 16 July 1932. (c) Illustrated London News Group. 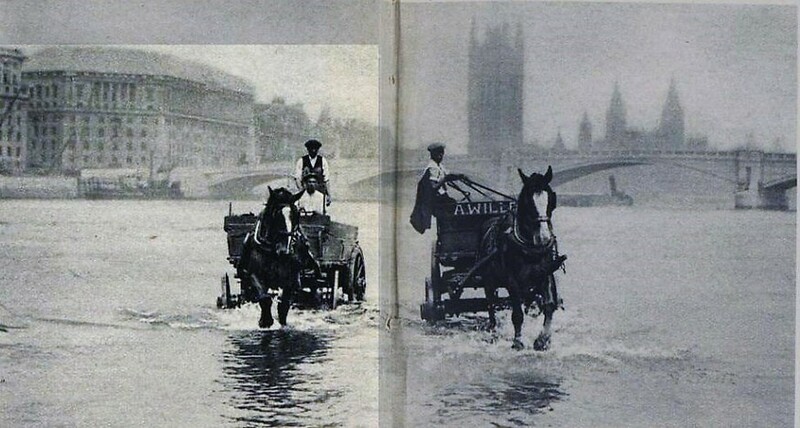 Although horses had largely vanished from London by the 1930s, some were still used for haulage. These lucky animals are enjoying a cooling dip in the Thames during the 1932 heatwave. Curiously, they're said to have accessed the river via 'a tunnel in the Albert Embankment near Lambeth Bridge'. Can anyone shed light on that tunnel? 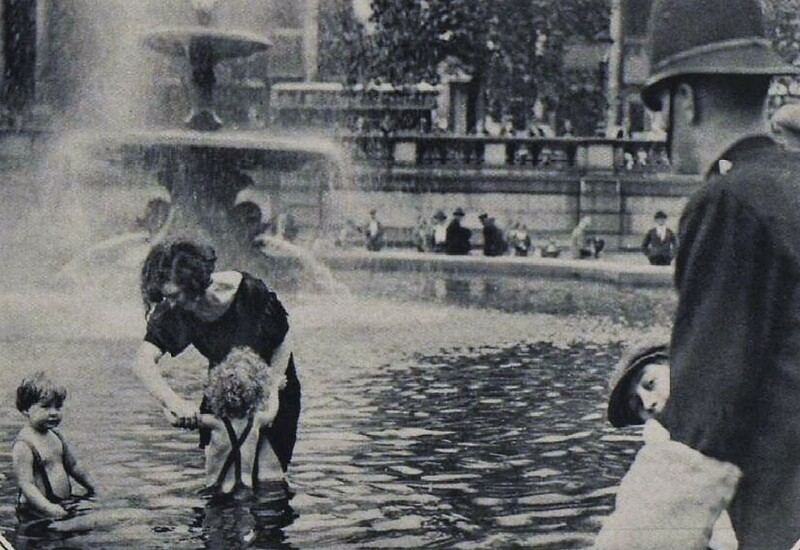 A policeman admonishes a mother and her children for taking to the waters of Trafalgar Square. 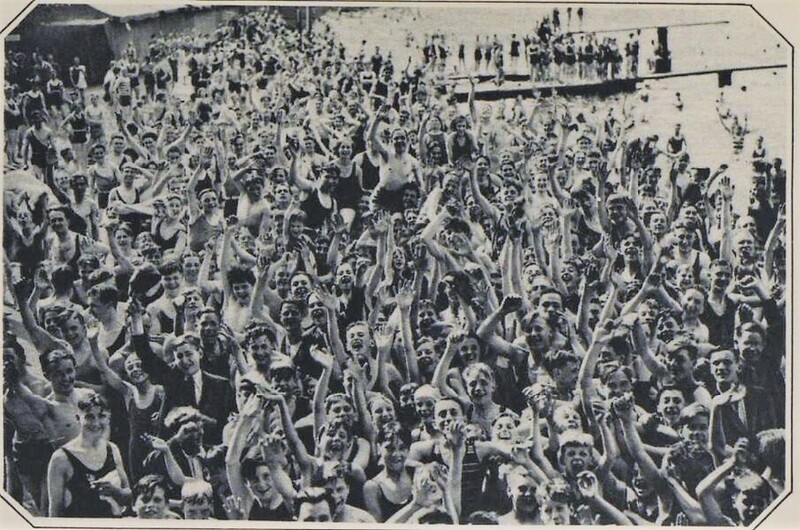 The Serpentine bathing pond, known at the time as Lansbury's Lido, attracted tens of thousands of bathers during the summer heatwave. Long queues of both men and women awaited a dip.